A few weeks ago I ran across this nice review of the book Atom and Archetype: the Pauli-Jung letters 1932-1958. This is a collection of letters exchanged between psychiatrist Carl Jung and physicist Wolfgang Pauli over a course of years. Evidently, Pauli was quite the metaphysician and Jung was intrigued by Einstein’s physics of relative space and time. Together in dialectic they argued and struggled to join together the disparate notions of mind and matter. What mainly caught my eye was a diagram that I’ve slightly altered and shown above. I’ve mainly just replaced energy with matter-energy for two reasons: first because matter and energy are inter-convertible and second because matter conditions space. This results in similarity to the fourfold diagram for Lucretius that I’ve shown before, consisting of Particles, the Void, Falling, and Swerving. In 1931, William H. Danforth published the book “I Dare You! Four fold development: stand tall, think tall, smile tall, and live tall.” Perhaps he is better remembered as the founder of the Ralston Purina Company, maker of many fine products and particularly of Chex Cereals. 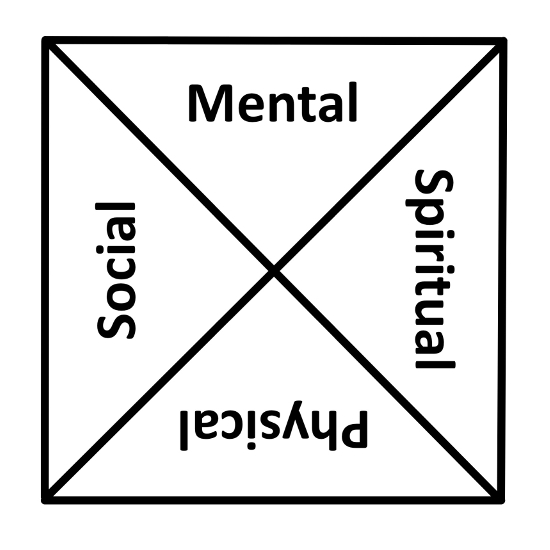 Indeed, Danforth saw life as a type of checkerboard, such that four key components (or “squares”) – the mental, the physical, the social, and the religious – needed to be in balance in order to achieve fulfillment and success in life. William H. Danforth / I Dare You! Only $1 in Kindle format from Amazon! Worth every penny! Don’t delay, buy today! The codes for these sixteen types are formed by listing one choice per opposite (E,I), (S,N), (T,F), and (J,P), written ESTJ, for example. Interestingly, four special subsets xNTx, xNFx, xSxJ, xSxP, (usually written NT, NF, SJ, SP), are aligned to the four personality temperaments by David Keirsey. 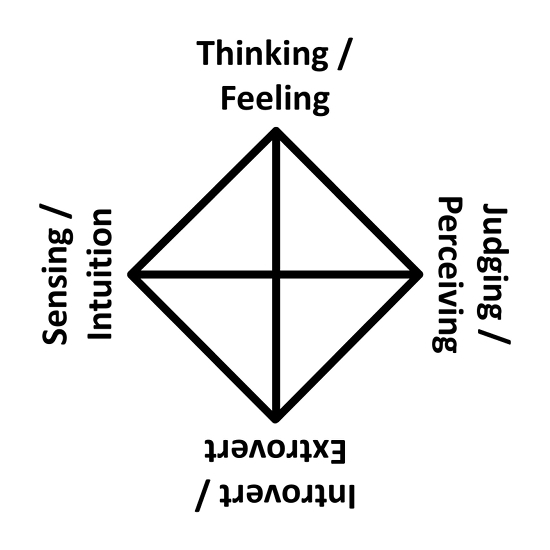 Sensing vs. Intuition and Thinking vs. 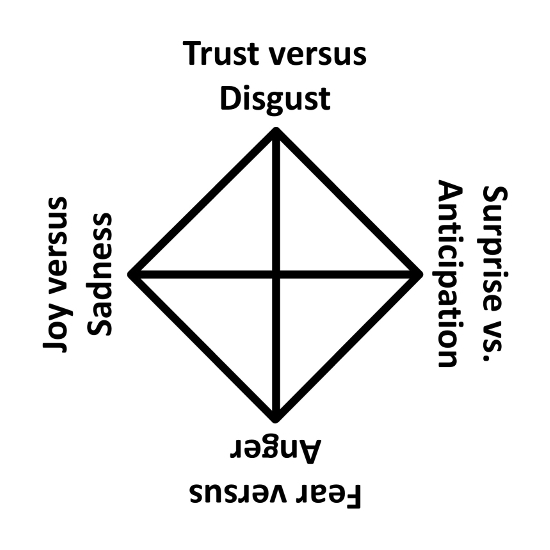 Feeling are quite similar to the fourfold of Jung’s Psychological Types: Sensation, Intuition, Thinking, and Feeling. Also in Jung’s theory Intuition and Sensation are considered Perceiving, and Thinking and Feeling and considered Judging. However, there are significant differences in the two theories. A recent post by Sandeep Gautam synthesizes several distinctions of the human being as self to come up with a nice fourfold model. 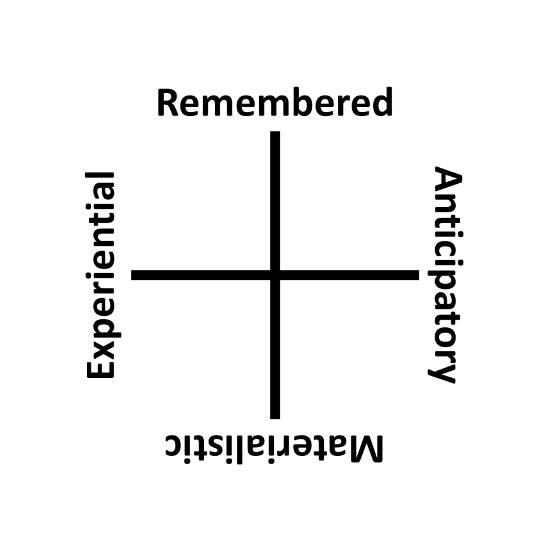 These are the Materialistic (or perhaps Substantive), the Experiential or Experienced, the Remembered (or perhaps Visualized), and the Prospective or Anticipatory (or perhaps Envisioned). These can also be neatly labeled as “having”, “doing”, “being”, and “becoming”. I have talked about Gautam before in my post The Fundamental Four of Sandeep Gautam. 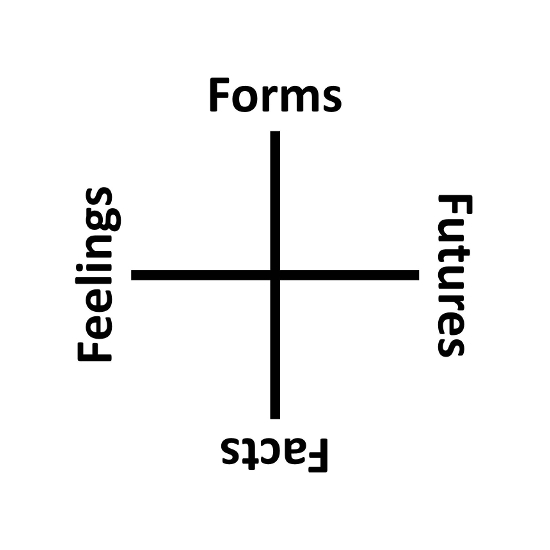 The fourfold discussed then was developed from evolutionary problems and drives but reminds me somewhat of this new fourfold, where Food/Foes -> Materialistic Self, Family/Friends -> Experiential Self, Focus/Frame -> Remembered Self, and Flourishing/Fun -> Anticipatory Self. There are several other fourfold models of the self that are readily found. There is the ancient “Modes of Consciousness” from the Upanishads: Physical, Emotional, Intuitional, and Absolute. There is the anthroposophical model of Rudolf Steiner: Physical, Life/Etheric, Astral/Feeling, and Ego/“I”. There is the one by Friedrich Nietzsche: Deepest, Ego/“I”, Ideal/Higher, and True. And there is the religious or new age model: Body, Mind, Soul, and Spirit. The problem with most of these older models of the self is the lack of consensus on the meaning and existence of the terms used in their construction, much less a way to know if the set is complete or not. Thus the fourfolds seem to be rather diverse and vague. I favor a more pragmatic and psychological approach in choice of models, plus those that can be easily mapped into Aristotle’s Four Causes, both attributes of which I see in Gautam’s models. The comparison and contrast of these models to come up with a synthesis might still be a worthwhile future effort. There are also several fourfold models of the brain itself that could be entered in to the mix. To Have or to Do? To Be or to Become? What are the differences between invention and discovery? Ever since my post Propositions as Types I’ve been trying to determine what they are. Some say that mathematics and logic are completely human inventions and they have no correspondence to the natural world. Others say that mathematics already exists in some “Platonic” realm just waiting for our discovery. Similar to convergent evolution, the parallel invention or discovery of similar notions in mathematics lends credence to the idea that there is something “out there” just waiting for us to find it, although one could also argue that it’s merely the cultural climate along with some innate functioning of the brain. For example there is the parallel development of calculus by Newton and Leibniz. The notion of effective computability in the “Propositions as Types” paradigm also has several concurrent developments. Modern science is based on mathematics so as one goes so goes the other. Physicist Eugene Wigner wrote a famous article on the “Unreasonable effectiveness of mathematics in the natural sciences” which has inspired a host of similarly titled articles about the “unreasonable effectiveness” of one thing for another. But the key point is that we really don’t understand the origins of mathematical thinking, or why it is so useful in helping us understand the natural world. Its value and utility seems, in fact, unreasonable. But let’s return to the differences between invention and discovery. If something is invented, it means that it is new, freshly created. If something is discovered, it means that it already exists and it’s just waiting for us to find it. Thus the difference is between the natural and artificial, or between what exists and what didn’t exist before humans created it. Some believe the natural world itself is socially constructed, so in some sense it didn’t exist before humans saw it, or will disappear when humans stop perceiving it. This is about is arrogant as believing that the world didn’t exist before a person was born or after they die; a solipsistic view if ever there was one. Once something is discovered, one can learn about it. Once something is invented, one can make it. Thus learning and making are tied to discovering and inventing, respectively. Inventing and discovering are required for making and learning. Of course one can also learn about an invention or how something is made, or one can learn facts about a discovery. 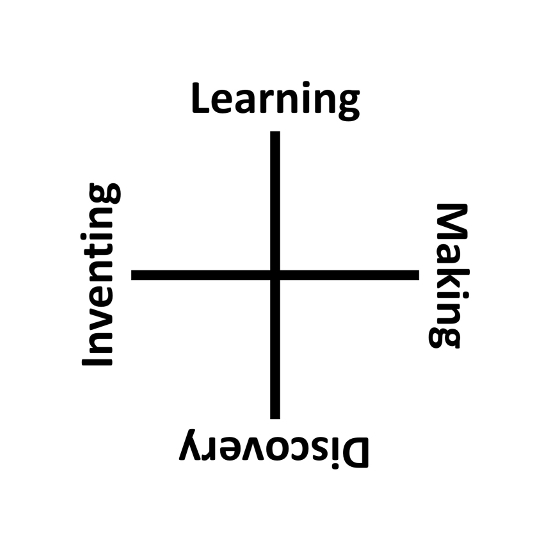 This fourfold of inventing, discovering, learning, and making is also related to other fourfolds. The Four Hats of Creativity seem to utilize each of these special actions for each livelihood: inventing (or creating) for the artist, discovery for the scientist, and making for the engineer (but less well learning for the designer). In addition, the Psychological Types of Jung appear to emphasize a type for each special action: intuition for invention, sensation for discovering, and cognition for learning (but less clear emotion for making). Please compare this with a related analysis on the methods of active learning at the Tetrast (link below), where the key faculties are struggle for invention, practice for discovery, value for making, and discipline for learning. As I considered my last post, I wondered if the intersecting centers of all my diagrams represented a “blind spot”, a fifth thing that I have been consistently overlooking. Searching on Google for the topic (besides finding the new television show of the same name), I stumbled on the Johari Window. 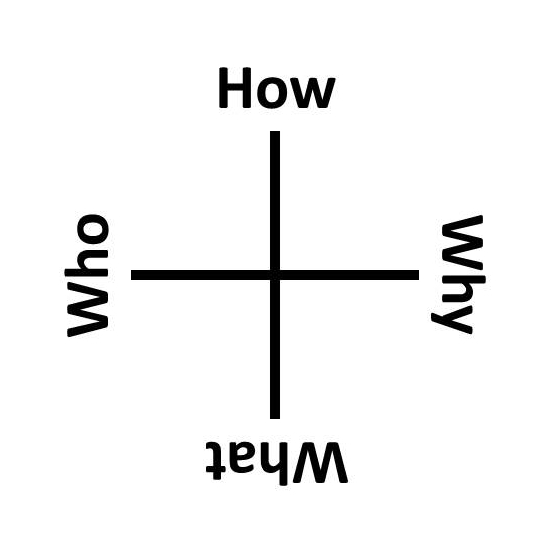 The Johari Window is a simple four-fold table that considers what an individual knows and doesn’t know about herself, versus what everyone else knows or doesn’t know. The idea is that the public self can enlarge, and include things from all three of the other selves, and so diminish them. Because having more openness in our selves, as well as less hiddenness, blind-spotness, and unknownness, is a good thing. And I’m glad the blind spot is really just one of the four things of the Johari Window, so I haven’t left anything out! Also remember “The Blind Spot: lectures on logic” by Jean-Yves Girard. Are four different kinds of thinking performed in four distinct areas of the brain? 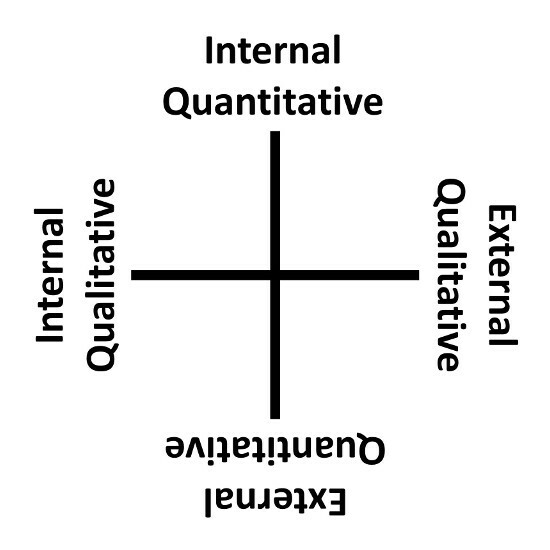 I’ve arranged the quadrants differently than usual. Some might want to see the diagram rotated 180 degrees, so that Facts are at the top. However, there are several reasons that I prefer this arrangement, with organized at top, synthesizing at right, kinesthetic at left, and quantitative at bottom. Part of my confusion is that I ordinarily want to place both Facts and Forms at top, and Feelings and Futures at right. Images of Whole Brain Herrmann. The images above remind one of the “Simon Says” toy! Blue, red, green, and yellow are often used in company logos. Three are pigment primary colors, and three are light primary colors. 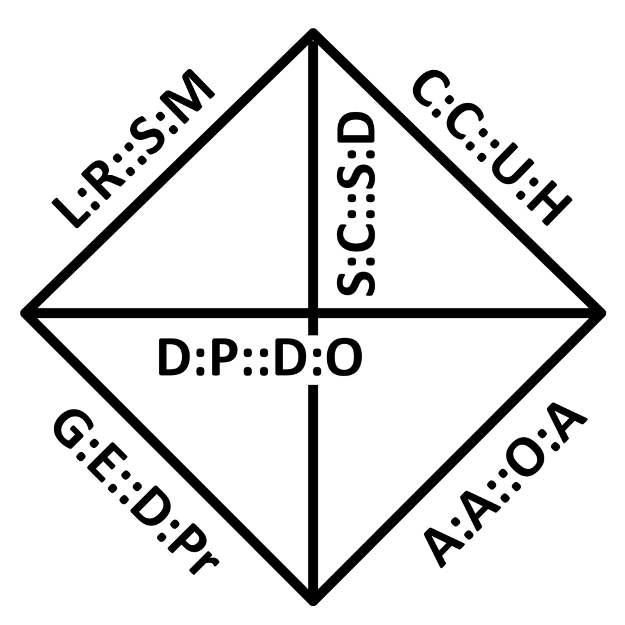 Do colors help one distinguish the quadrants? Searching for “four primary relations” led me to the work of Rev. Robert Jardine (1840-1924, Canada). His most notable (and perhaps only major) work is “The Elements of the Psychology of Cognition”. 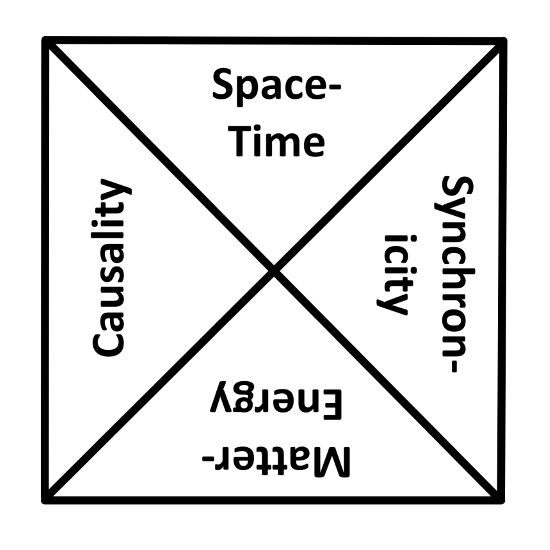 His first fourfold consists of the “four primary relations” of consciousness: difference, resemblance, simultaneity, and succession. 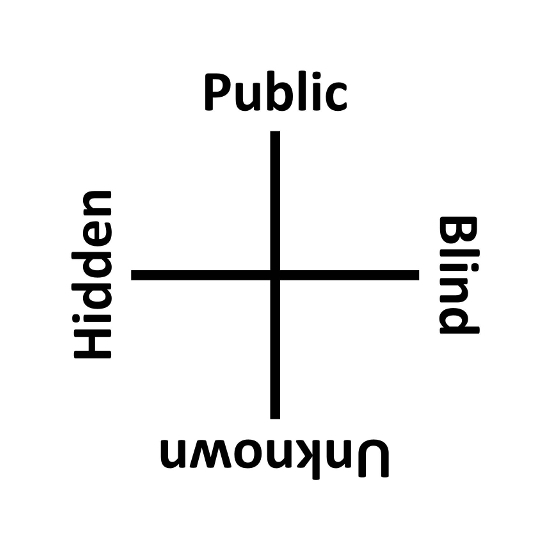 Each of these are relations of perception that can be informed and conditioned by other members of these four relations, or at least that is what I think he’s saying. Note that difference and resemblance have to do with information (or space), and simultaneity and succession have to do with time. Relations of figure, size, shape, motion, number, and so on, of the constituent parts or elements of objects, classes or systems. These relations may be any of the four primary relations or any combination of them. Relations between the qualities of objects of our knowledge, or classes of objects, these qualities being made known to us by the sensations or ideas which they produce in our minds. 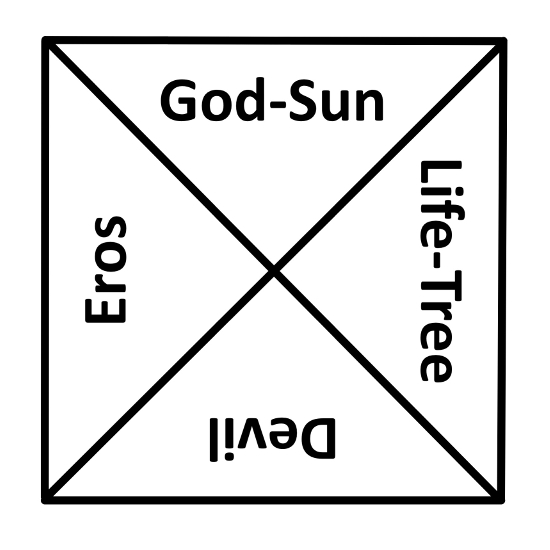 Relations of any of the four primary kinds or any combinations of them between the figure, size, shape, motion, duration, number, and so on, of objects, classes or systems which are external to one another. Relations between external objects or systems with reference to qualities made known by sense, moral or aesthetical qualities, characters, habits, conditions and any other characteristics of objects of knowledge which may be appropriately called qualitative. Quantities he relates to Forms, and Qualities to Sensations. MR. JARDINE has seemingly had some personal reason for writing this treatise; for in the preface he asks the critic to bear in mind “that the book has been written with considerable haste, in order to secure its publication within a certain limited time.” It would have been wiser to ignore the critic: for this unsympathetic personage is only too certain to meet this innocent confidence with the unfeeling remark that perhaps the interests of science would not have suffered had the author taken a little more time over his work. Robert Jardine / The Logical Doctrine of the Proposition. The Calcutta Review, Vol 62, No 124 (1876), 307-323.
Review of 1st edition in The Calcutta Review, Vol 60, No 120 (1875), 280-322.